Instagram is something that more and more people are becoming interested in when talking about social media use. 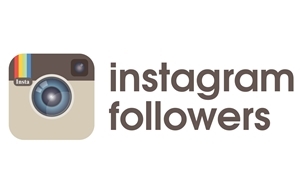 That being said, how can you be sure to get more Instagram followers for your business? One of the best ways to do so is to go ahead and take the time to start posting guest blogs of all sorts. Here are some tips on how you can make that a reality. You don’t want to be irrelevant. As a matter of fact, you want to be vigilant about what sites that you’re going to be posting on. You want them to be related to your niche and you want people to notice whatever it is that you’re trying to do. Use sites like guest post tracker to find blogs in your niche that are accepting guest posts and you’ll have an easier time expanding your audience over time. By working with other Instagram professionals and building relationships with them, you will find that they are a lot more likely to ascribe to the “I scratch your back, you scratch mine” philosophy. Develop relationships with other Instagram Pros, share their content, talk about what they’re doing and leave comments. Then, it’ll be easier for you to convince them that a guest blog on their site is totally worth it for them and for you. You’re doing things on Instagram, right? People don’t want lousy pictures – be sure that you show off some of what you’re doing in your guest posts. Take some awesome pictures that will catch people’s attention and that will make them more likely to look for your Instagram in order to get more information about what is going on with your site. Link them to your Instagram as well – it’ll take people right where you want them to go! It makes things easier and it gets you even more established as an Instagram pro. You want to be sure that you’re keeping an eye on everything and everywhere that you’re posting your content. By taking the time to really look at the guest post subjects and options that make the biggest difference for your site, you will find that there are a lot of different topics that you could be approaching. Get creative with what you’re doing and make sure that you vet every site that you plan on posting onto. By doing your research and knowing what is going on, you can be sure that the sites you post on are going to make a difference. Any sort of error is going to turn people off to your guest posts. Instead, be really vigilant about what it is that you’re writing and how you write it. By taking the extra time to edit and to see what you could make better, you will be a lot more impressive to the people you are looking to write guest posts for. Taking the time to really get things down pat will make that process easier for you as well. Take a look around and consider what your options are. Guest posting as an Instagram professional can go a long way and you’re going to catch the attention of many different people if you do it correctly. Be diligent in your search, connect with people, and get your guest posts out there so that you can increase your audience organically. Walter Barrington hails from U.S is a foodie, traveller and an avid tech & business writer. He is a blogger on his free time who used to blog about different niche such as technology, digital marketing, business, lifestyle, health, etc,. In this post he seeks to focus and share Guest Blogging Tips on how to Raise the Instagram Followers For Your Business. He has also specified about Guest Post Tracker services which could help you. You can follow him on his social profiles - Facebook & GooglePlus.